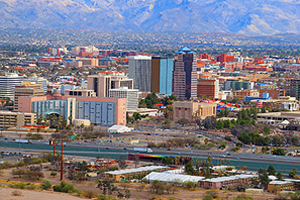 Tucson is the second largest city in Arizona, after Phoenix. The city’s nickname is Optics Valley, due to the large number of companies involved in the design and manufacture of optics and optoelectronics systems, that operate from Tucson. The city is also home to the University of Arizona and much of Tucson’s economy is driven by this institution. Many businesses that experience high call volumes choose a recorded messaging system to manage these phone calls. However, this solution is not ideal for companies wanting to offer superb, personalized customer service. If you are looking for professional answering services in Tucson, AZ, that not only help you manage your call volumes but also ensure that your customers receive excellent personal attention, Sunshine Communication Services, Inc. provides the perfect solution. 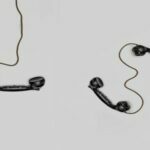 Missed calls from your customers, and forgetting to return messages, can damage your reputation. Our services help you organize your calls and messages, so your customers are not neglected. A receptionist is a great addition to any business but it is an expense that many can’t afford. Our virtual receptionist is a cost-effective solution with all the benefits of an in-house employee. We provide you with your own phone number and HIPAA accredited call center agents, ensuring that your customers receive a completely professional service. Our call operators receive industry-specific training and our call answering plans can be customized to suit your business needs. Perfect for growing businesses, our phone answering services give you the professional edge while saving you money and increasing productivity. 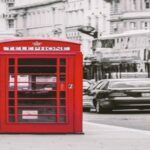 Whether your customers are English or Spanish speaking, they will be able to communicate with a call center operator who speaks their language. Don’t miss out just because your customers call outside of your normal operating hours. Our call center services are available around-the-clock, 365 days a year. Our customized answering services lets you choose your hours, and pay for the hours you use. Our call center operators are efficient and knowledgeable and are HIPAA accredited. Our services are available 24-hours a day 7-days a week, and all year around. We provide you with your own phone number and personalized IVR voice mail service. We filter and organize calls, handle inquiries and direct messages back to you via your choice of email, text, fax or phone. 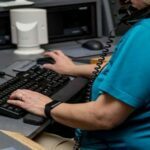 We prioritize urgent calls, and our services can also include emergency dispatch. If you want to find out more about our telephone answering services in Tucson, AZ, contact us at Sunshine Communication Services, Inc. today.